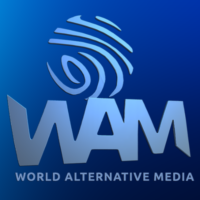 During WAM’s weekly show with the one and only G. Edward Griffin, Mr. Griffin broke down his research into incredible cancer treatments (primarily Vitamin B17) which he of course wrote an extensive book on in the 1970s utilizing much of the incredible research of Dr. John A Richardson. G. Edward Griffin turns 88 years old this year and is in better shape than most 45 year olds. He attributes a lot of this to not taking test tube medication and sticking to natural diets for the most part. He breaks down his research into type 2 diabetes as well. He was told 20 years ago that he had the beginning signs of type two diabetes and he overcame it. His perspective is a great example of demonstrable evidence. Right in front of your eyes.